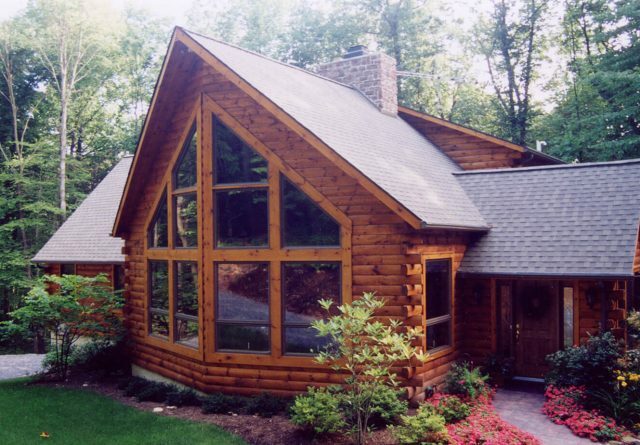 Gingrich log home interiors are as equally gorgeous as their pine exteriors. 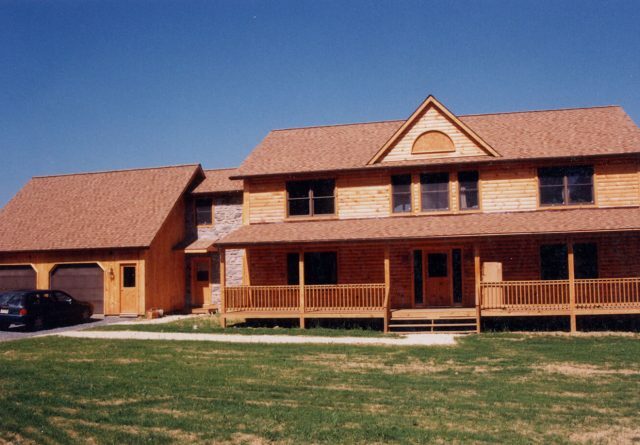 At Gingrich Builders, we know the greatest selling point of our custom log homes is their breathtaking look and feel. 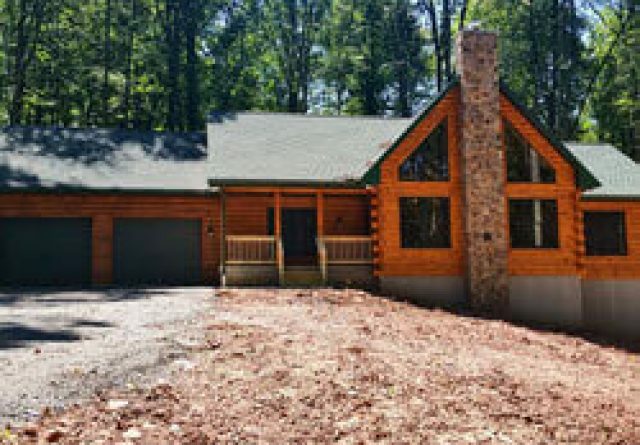 That’s why we made this log home interior walk-through video — to give you a small sense of what log home life looks and feels like. 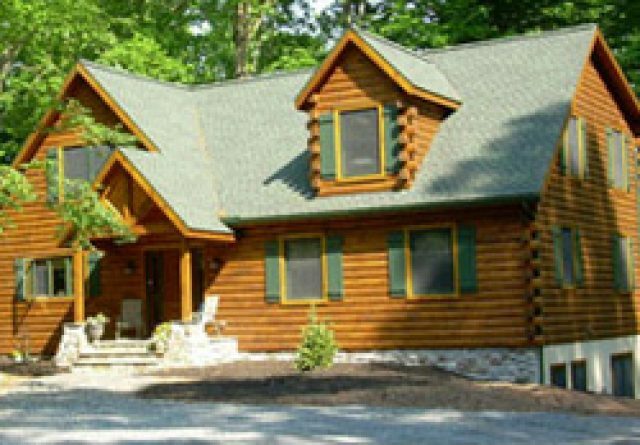 If you’re looking for an introduction to Gingrich custom log homes or wonder what makes them so unique, we’d love to show you. 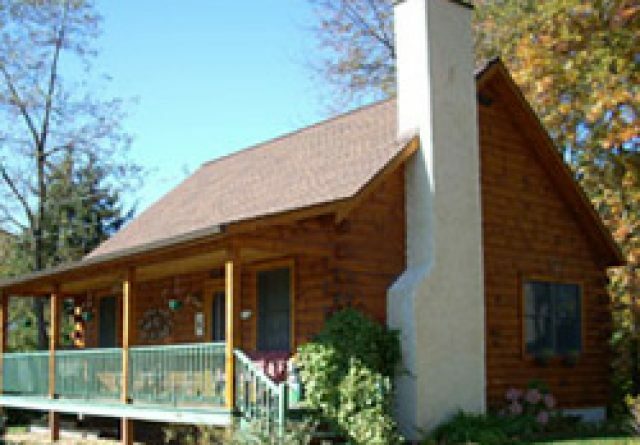 Our log home video showcases the rustic style and natural ambiance of custom log homes as well as the interior features that make them so unique. 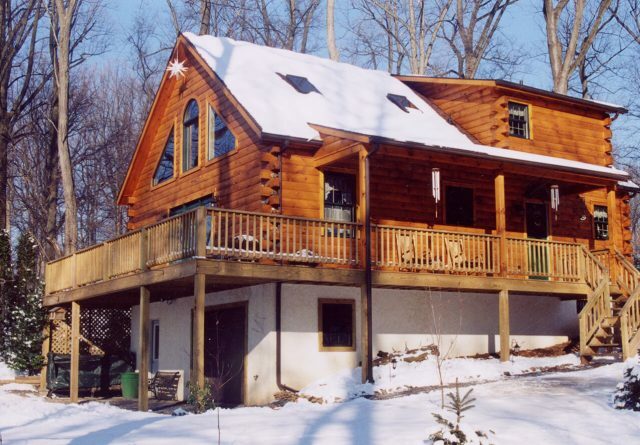 Feast your eyes on this gorgeous Gingrich log home in the middle of a snowstorm. 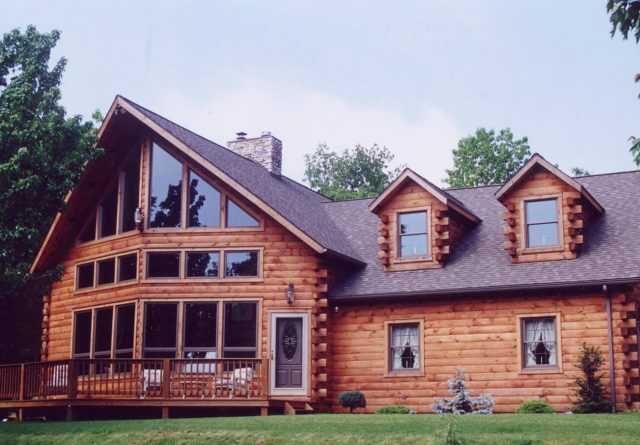 All of Gingrich log homes are built with northern white pine or cedar. As a species of wood, cedar is naturally resistant to insects and rot. Pine is a time-tested proven species with a beautiful natural appearance. 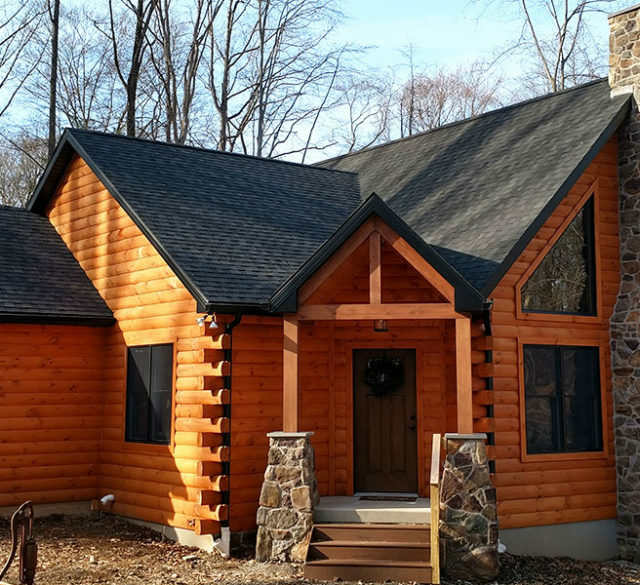 The lumber is just one way that we ensure our log houses are truly built to last. 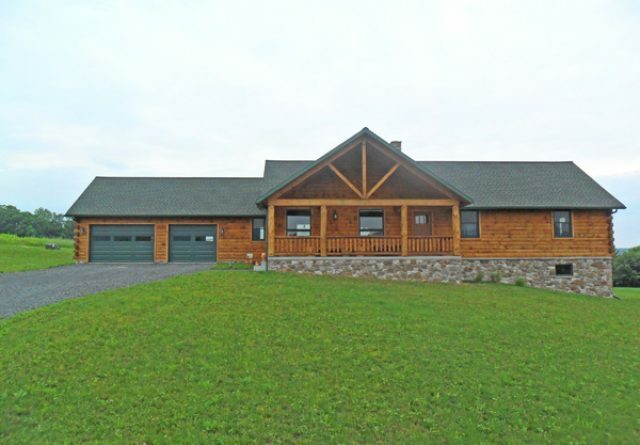 A distinguishing feature in most Gingrich log homes is the open floor plan. 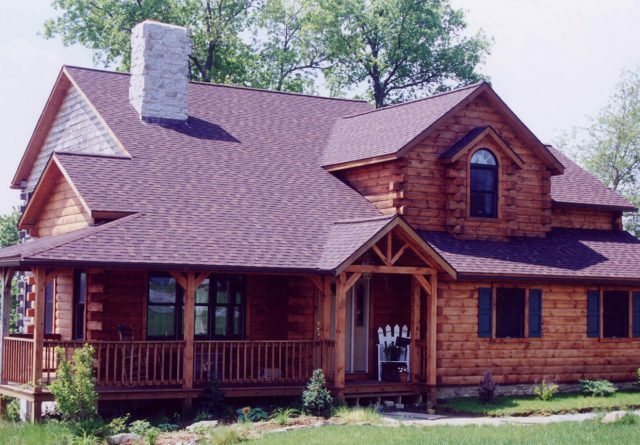 Gingrich log home interiors often feature sweeping open floor plans, connecting the kitchen and the great room. These modern floor plans often include lofts that overlook the great room, further creating the impression of openness. The open floor plan also makes the entire home feel more spacious and bathes these log home interiors in ample natural light. 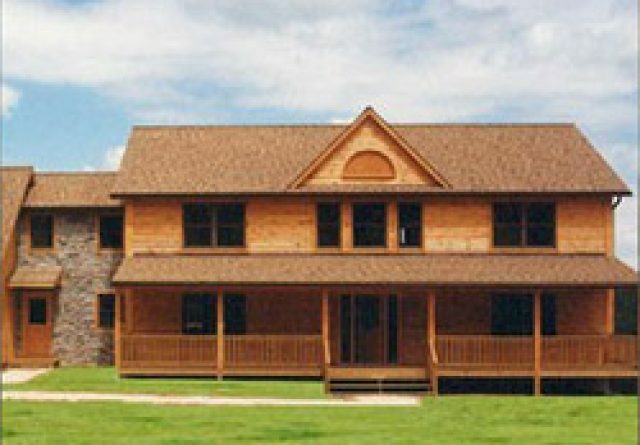 Learn more about log homes with open floor plans. High, arched ceilings are another striking stylistic touch that appear in many Gingrich model homes. The sloped ceilings give the homes their distinct A-frame appearance and further create the spacious interiors our customers love. 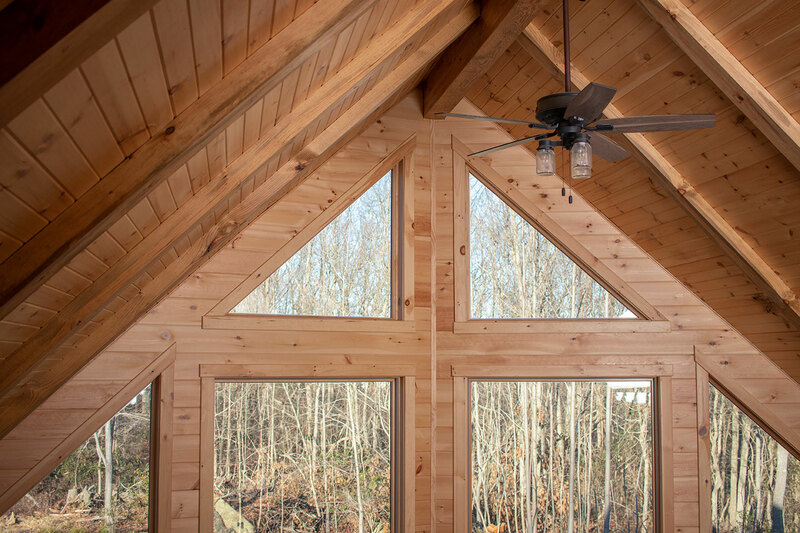 Also, note the stylish triangular windows in the A-frame of the grand room. What would a rustic log cabin be without a working fireplace? Real stone fireplaces are a popular touch to build the classic log home aesthetic — and to provide a centerpiece in your great room. Can you imagine anything more blissful than gathering around a roaring fire in your log cabin and weathering a snowstorm? 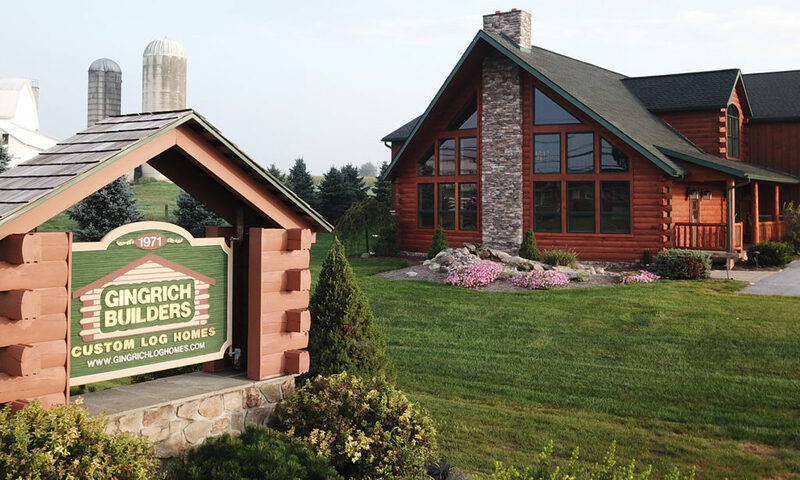 Since custom options are a hallmark of Gingrich log home interiors, our customers often work with us to design custom kitchens. We made sure to highlight gorgeous black cabinets and granite countertops as part of our log home video walk-through. Notice how the deep black color of the customs cabinets contrasts the richly-colored wood walls. The kitchen isn’t the only place where our designs feature your creativity. While every other facet of our log homes may project a natural beauty, our custom bathrooms are all about comfort and modern luxury. Many of our bathrooms feature deluxe amenities such as walk-in showers and a soaking tub. Since Gingrich homes are often built in beautiful wooded areas, outdoor living areas like decks and porches are a popular addition as well. These allow the homeowners to more fully immerse themselves in the beauty of their property. 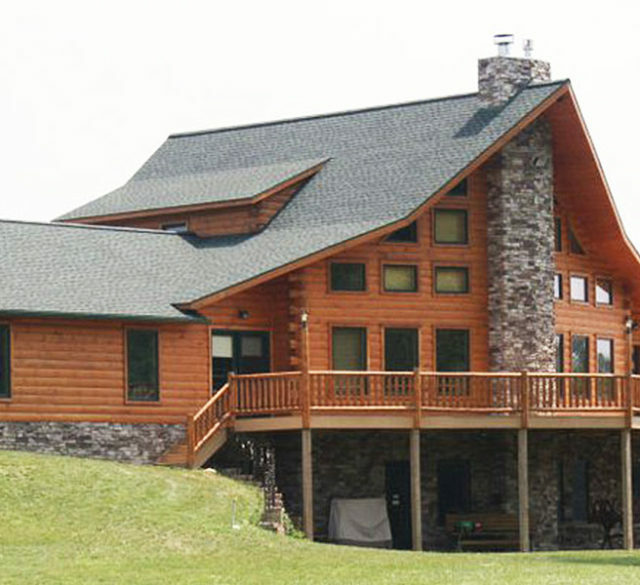 If a log home is your dream house, start a conversation with us today. From the initial design phases through the finishing touches, we help make dreams a reality. 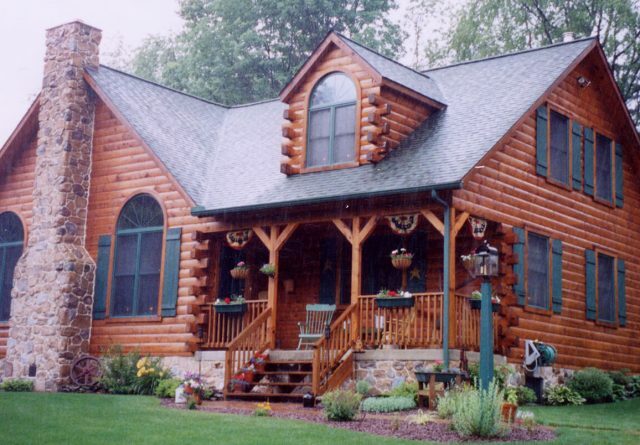 Gingrich Builders has been crafting custom log homes for over forty years. Our homes are recognized for their quality workmanship and striking architectural designs. 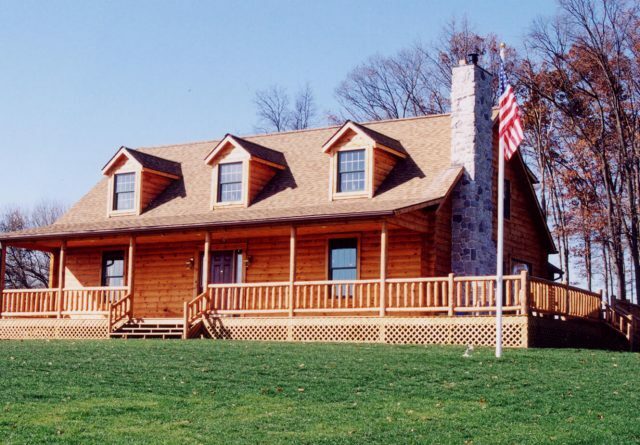 We have a variety of base log home models that customers can customize to their exact tastes. 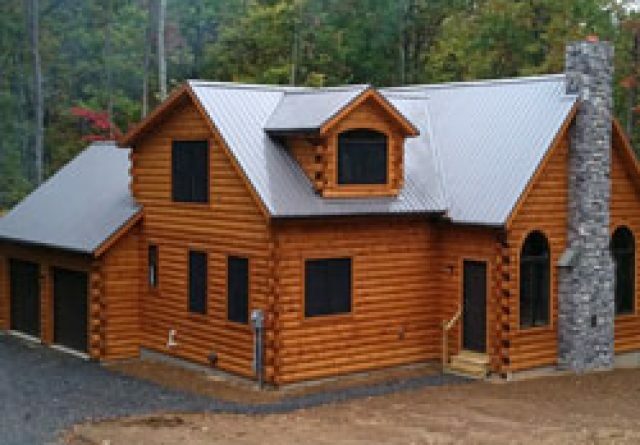 See more of our log homes right here. 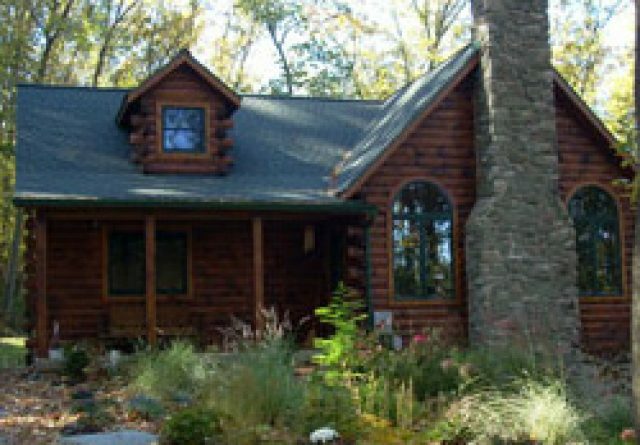 If you want to get started building your log home with Gingrich Builders, get in contact with us today!